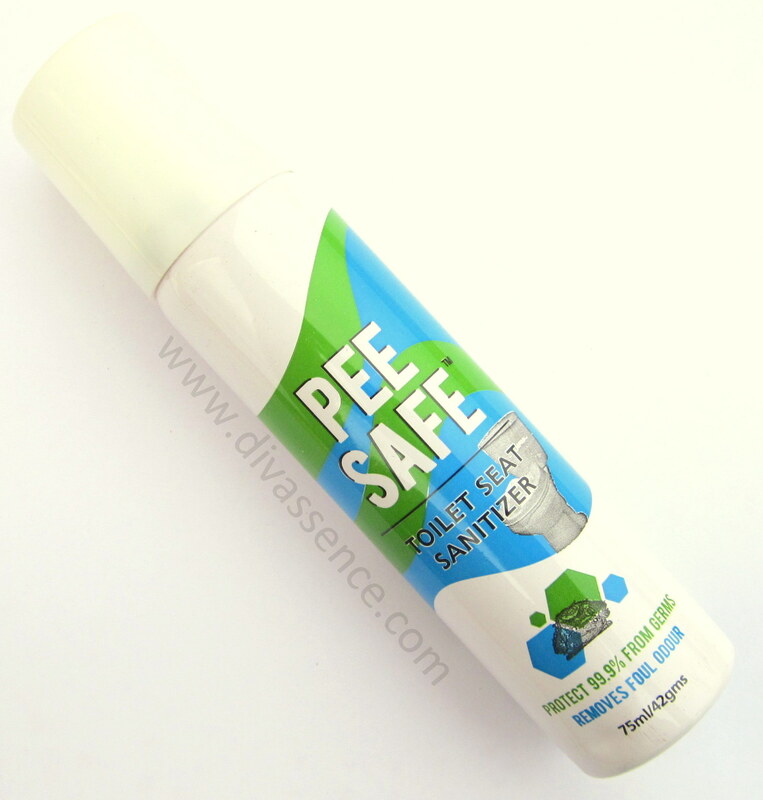 Pee Safe Toilet Seat Sanitizer Spray: Review | Divassence! …..Nobody treats it like their bathroom and pees everywhere except where they are supposed to and don’t bother cleaning up!” Although I had a good laugh at the statement, it made me think about the harsh reality. After watching a fantastic movie and glugging down half a litre of soft drink, the urge to use the restroom dawns upon you like it’s a do or die situation. So there is no choice but to scout for the less dirty, less stinking restroom among the many dirtier ones. While there are hundreds of people using the same restrooms, apart from the stench, there is a chance of us getting UTIs. I’ve been affected by it despite the endless cleaning with the tissue,water, tissue routine. Yeah, I am paranoid of using restrooms outside but controlling your urge is equally bad, so hey! which is the better of the two evils is a question I often ask myself. Indian toilets are no better. The chances of contracting infections are less but “less” isn’t enough. So after reading two paragraphs of my rambling, a few of you might ask, “what the hell is the solution to the problem?” Well ladies, there is a solution. Pee Safe Toilet Seat Sanitizer Spray is perfect to use on the toilet seat that ensures a 99.9% germ-free and insta- safe toilet experience, No more dreading the dirty toilet seat in Railways, in a plane, a long distance Train or at a Public place. It is an ideal product to use while travelling via Trains, Flights, Buses or in waiting rooms. 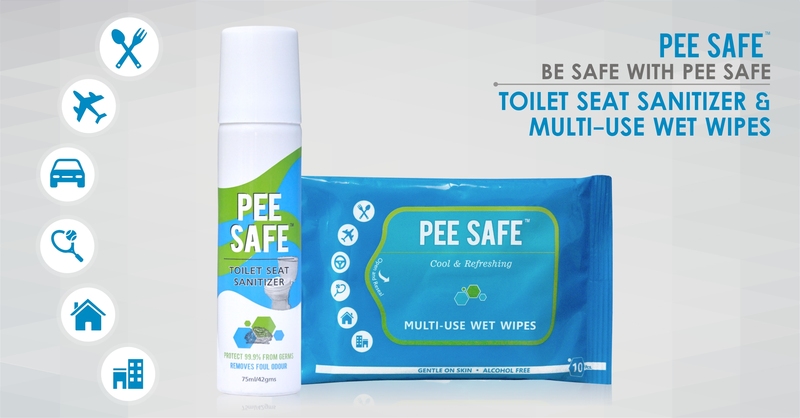 PeeSafe has now launched PeeSafe Multi-Use Wet Wipes, which can be used as face wipes as well as sanitization wipes for handles, bars, phones, keyboard or almost any surface. 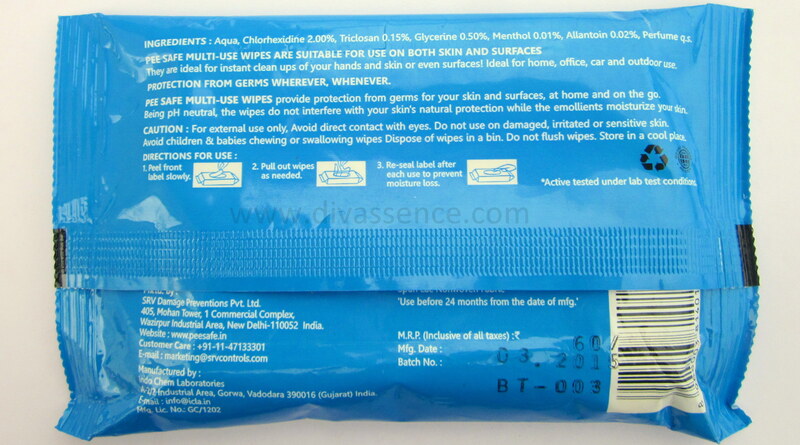 Keep these Wet Wipes handy with yourself when travelling or in office, easy to carry pack of 10 pieces of Multi Use Wet Wipes. These come as life savers in these kind of situations. You can use a public toilet without being afraid of contracting any UTI. 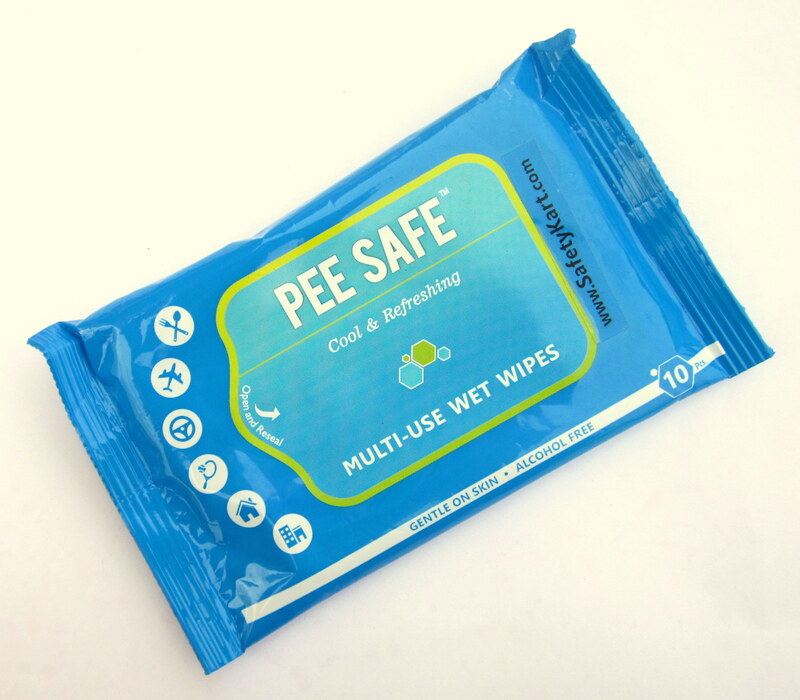 I carry this in my handbag always along with the PeeSafe Multi-Use Wet Wipes. Although I still follow the routine I had described in detail above, I use this sanitizer as well and I know confidently that I can use the toilet without any fear. 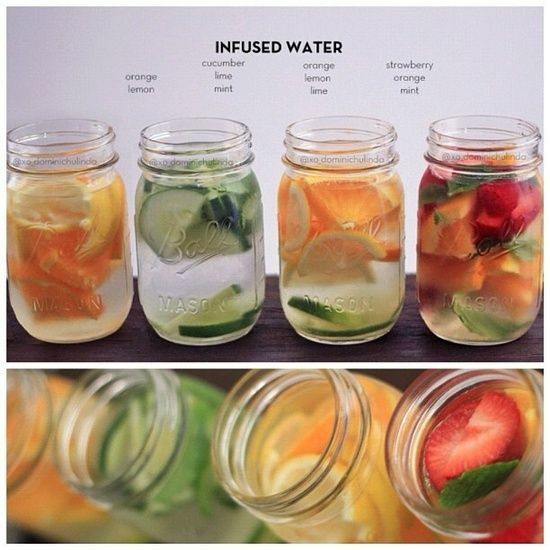 Those who travel frequently, this would be your blessing in disguise. You can use public restrooms without any fear. SPRAY: Spray the toilet seat and any other areas that you want to sanitize with Pee Safe Toilet Seat Sanitizer. WAIT: Wait for 5 second, no more, no less. 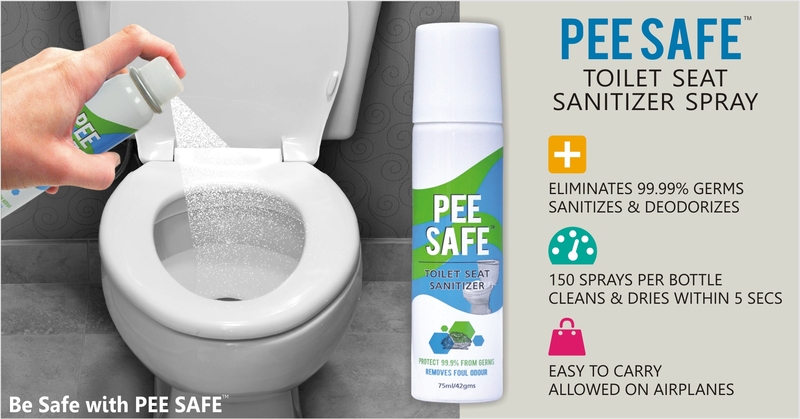 Pee Safe, Toilet Seat Sanitizer destroys 99.99% germs on the toilet seat in 5 seconds, thus disinfecting the area.The anti-bacterial sanitizer spray evaporates quickly leaving behind no residue. USE: With 99.99% germs killed, the toilet seat is now safe to be used. By using this, you are ensuring personal hygiene by disinfecting the area around the toilet. No more hassles of spraying the seat and waiting for it to dry or carrying disposable toilet seats. It is not only in public toilets that we contract infection. Using mobile phones, desktop keyboards, holding onto a railing on the road, using the tap in a public restroom.. germs are present anywhere are everywhere. So this is where PeeSafe Multi-Use Wet Wipes come in handy. These sanitizing wipes can be used to wipe the surface of your mobile phones, the keyboard you use at office or any surface you need to come in contact with at any point of time. This is also said to be safe for the skin so you could use it to wipe your hands and face. The best part about these two products are that they can be thrown inside your purse/handbag and carried anywhere and everywhere. Hygeine is not a choice, it is a necessity. 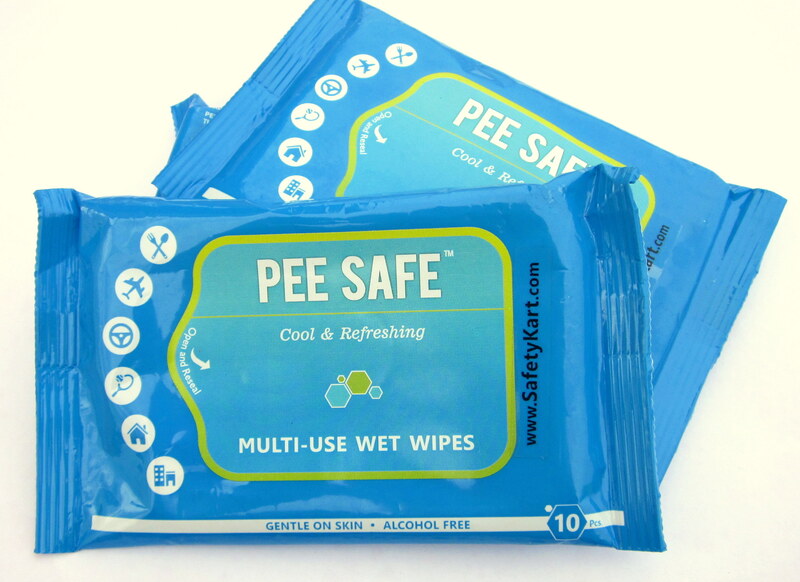 I would highly reccomend the Pee Safe Sanitizing Spray and the Multi-Use wipes for both men and women. Final Word: Pee Safe Toilet Seat Sanitizer and Multi-Use Wet Wipes is now a part of my daily routine. 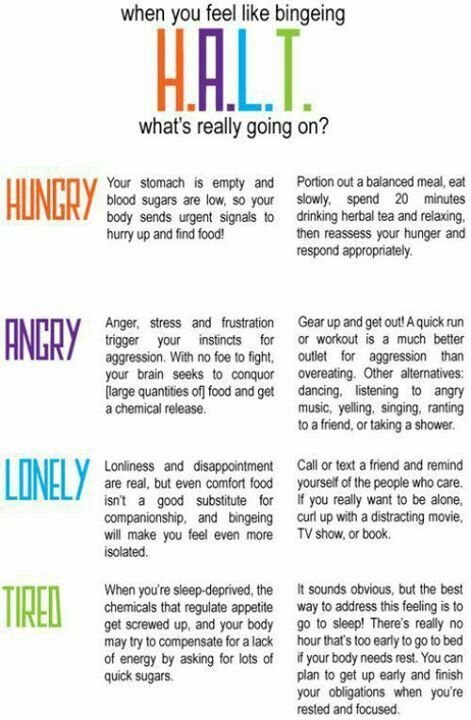 I would definitely recommend this to you. 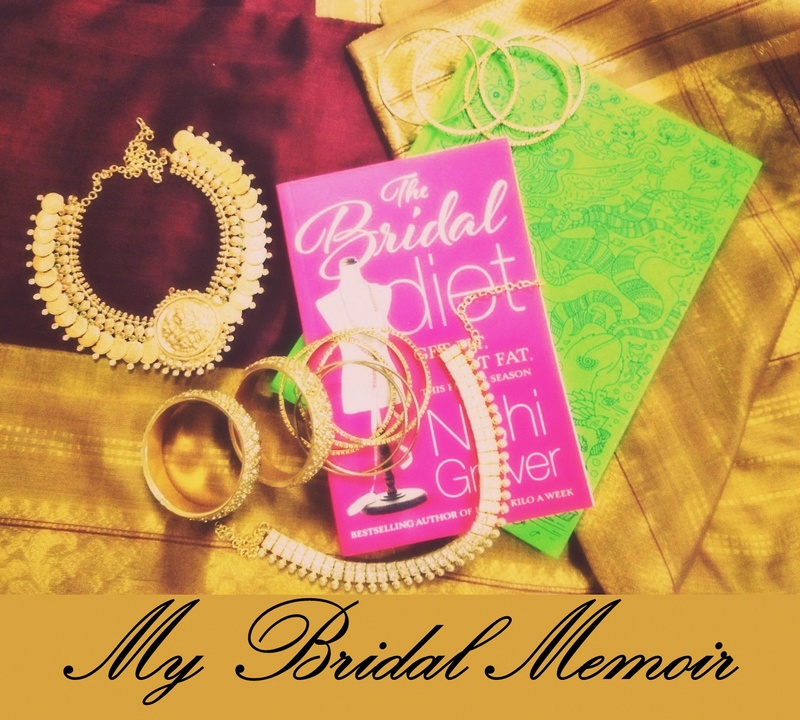 ← The Jhumka Diaries: Dupatta Mania! Thanks for this wonderful write up. Appreciate it.